Any cat lover can tell you that while they make wonderful companions, cats make the messiest roommates. From the litter box to the feeding area to the shedding on your couch (and your bed, bathmats, computer chair), it can feel like there’s always something to clean—and it never stays that way. Your cleaning routine might involve weekly vacuuming, washing, rinsing, and dusting, but with the need to get so much done, you’ve probably developed a few shortcuts. Leftover dirt and mess accumulates over time and thanks to your feline friend, things might be looking pretty rough. The mat under the food dishes resembles a culture in a petri dish, that chair in the living room looks like you got it reupholstered in cat fur shag, and there are enough broken cat toy ears, feet, feathers, and bells laying around to build a Seussian masterpiece. It’s time to tackle the dust, dirt, and grime head on. Spring is in full swing, which means it’s time for a deep clean. 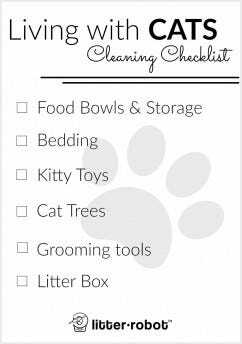 Here’s our guide to spring cleaning when you live with cats. Your pet’s food dishes can be one of the dirtiest places in your home—attracting bacteria, bugs, and mold. 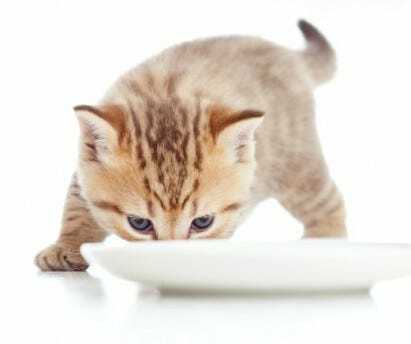 Soak pet food bowls in hot soapy water to loosen dried-on food and slime rings while you tackle another item on this list. Then use a sponge or brush (perhaps one that you do not use on your own dishes) to scrub them clean. Don’t forget the splatter zone! Clean the area surrounding pet food bowls including the counter, floor, walls, and place mat. If you have gravity-fed or automated pet feeders, consult the product manual to learn how to clean them. You’ll want to pay attention to which parts of the device are submersible and which should only be wiped down because they house the electronics. After cleaning them, make sure they are rinsed thoroughly and dried completely before you reassemble them. Refresh any disposable parts like filters and replace any broken parts. If you store dry food in a bin, clean it too. Pour the kibble into a bag temporarily. Depending on how big the bin is, it may be easier to take it outside and use the hose or wash it in the bathtub. Rinse it with soapy water and use a brush to get food out of grooves and crevices. Let it dry completely before you put the lid back on and refill it with kibble. Where does one cat bed end and another begin? I don’t know, either. But as best as you can tell, collect all sheets, bedding, slip covers, pillows, and anything else that gets slept on by your cat regularly. Fur, dirt, shed skin, tracked litter, and the slew of allergens that live therein all have to go. Before you wash them, review each item. What condition is it in? Is it worth washing or is it time to buy a new one? Read the tags to learn how to best wash each item. Most things can be laundered in a machine or hand washed. Give them a vacuum or a shake outdoors before wetting them. It’s usually best to let bedding with any stuffing air dry—sorry, kitty, you’re going to miss your favorite bed for a day or two. 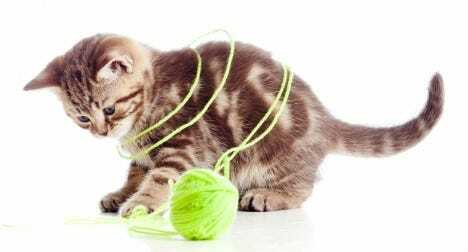 Collect your cat’s toys and discard those that are torn open, pose choking or other hazards, and are very dirty. If the toy is made of a material that can be washed, either hand wash it and let it air dry or toss it in the washer with some towels on a hot setting. For toys with feathers, trim or replace broken feathers, so they’re not sharp. If you have catnip toys, check if they have an opening intended for re-stuffing. Take out the old catnip, wash the toy, then re-stuff it with new catnip. If nothing seems worth washing, it might be time to go kitty toy shopping. Don’t overlook other kitty entertainment spots like cat trees, cat walks, or whatever else your cat has commandeered. First, review the piece and decide if it is in good shape. Your cat might love perching on it, but is it something you’re embarrassed about when guests come over? Make your decision and follow through by donating it, listing it, or throwing it out, then planning for a replacement. If your cat tree is in good shape, start by vacuuming it. Then, apply a carpet cleaning product to clean spots or stains and remove smells. Hopefully you have some well-used grooming tools, since they are key to keeping your home pet-fur-free. Make sure they are in good shape and discard those that aren’t. If you don’t own any grooming tools, it’s a good idea to purchase a brush appropriate for you cat’s fur type—consider it proactive cleaning! Remove all hair from brushes, then wash them with warm soapy water. You may want to scrub the bristle bed if debris remains. For combs (and depending on the type of brush), you may want to soak them in a mixture of disinfectant and warm water for about 10 minutes. If you have hardwood floors, you have it easy on this one. Use a microfiber mop to collect debris from the floor, then use your preferred wet mop to clean the floor. If you have carpet, you’ll have to do a bit more work. First, vacuum your carpet and note any discolored patches or stains that may have accumulated since your last deep clean. Apply a stain remover to those spots according to the product’s instructions. Then, steam clean your carpet to remove deep down dirt and allergens. If you don’t have a steam cleaner, reach out to friends, family, and neighbors to see if someone has one you can borrow. Someone has to do it and if it has to be you, don’t worry, we’ve got you covered. Let’s tackle this head on, keep it simple, and do the least work for the greatest benefit. With such a sensitive sense of smell, your cat is going to love its litter box after it gets a deep clean! First, gently dump the litter into a garbage bag and discard. Make sure to remove all litter granules, since they will harden or make a muddy mess when wet. You may want to take your litter box(es) outside and use the hose, but the bathtub or a self-serve car wash will also work. If your litter box has dried-on litter and other matter around the walls, fill it with hot soapy water and let it soak for several minutes. While it’s soaking, clean the area surrounding your litter box. Vacuum loose litter and spray a disinfectant. You may want to use an enzyme-based product to help remove smells from the area. Once your litter box is done soaking, use a sponge or brush to get dirt out of any grooves or crevices. Apply a disinfectant and wipe down the tray. Don’t forget to wipe down the bottom, which comes into contact with your floors. Make sure the litter box is completely dry before refilling it, so the litter doesn’t clump prematurely. If you use an automated litter box, refer to the manual or website to learn how to clean it. Again, pay close attention to which parts are submersible and which should only be wiped with a damp cloth. Make sure all parts are completely dry before reassembling it. Now is also a good time to refresh disposable parts like filters and replace any broken components. 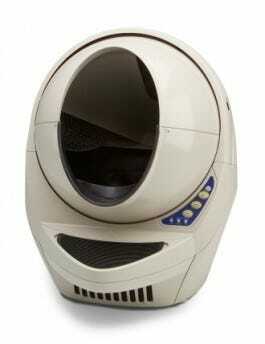 If you have a Litter-Robot, we recommend giving it a deep clean about twice per year. Check out our helpful video to learn how to deep clean your Litter-Robot. Here you are, reading the last paragraph of an article about cleaning. How do you make the leap from reading to executing our deep cleaning plan? Do what I did and share it on your social media and challenge others to do it too! Post before and after photos! So get up, get started, and get it done! You’ll be so glad you did.